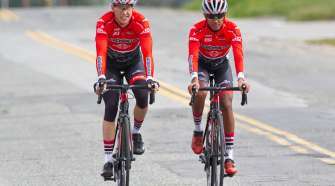 Cyclocross racing is back in SLO for the annual SLO Cross! 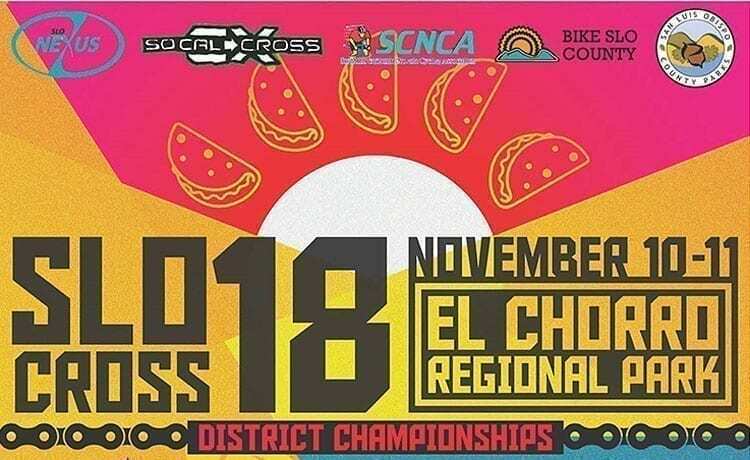 This year we are hosting the Southern California/Nevada Cycling Association (SCNCA) District Cyclocross Championships, and we are once again part of the SoCalCross Prestige Series (SCPS races 4/5). 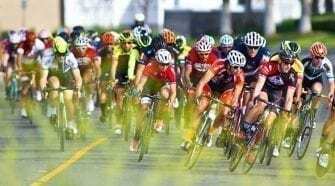 Bike racers and enthusiasts of all ages come out to this event, which will be held at El Chorro Regional Park on Saturday and Sunday, November 10–11. Enjoy the weekend of bike racing, beer, food, and fun activities. Racers and spectators welcome and encouraged. Bring your friends and family out for the entertainment of cyclocross racing. It’s been said that our course is one of the toughest, albeit most fun, courses to ride. We take pride in making this a true cyclocross event. Past attendees have always enjoyed the gathering of the biking community during SLO Cross, and many return each year for more. SLO Cross is sponsored by several bike-friendly businesses, helping us make it the best event we can for everyone. 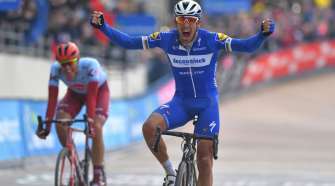 Cyclocross is a style of racing that involves varying terrain, obstacles, and multiple laps through the course within a set time frame, usually between 30–60 minutes. We also hold youth races and kiddie cross, and everyone truly has a blast. Racers come out to ride this course for sport and for fun. Beer handoffs and bacon fishing welcome! Spectators make up a large part of the success of SLO Cross, and the crowds and enthusiasm make it a great time. SLO Cross hosts a growing number of racers each year and each year is better than the last. Saturday night happy hour is hosted in the beer garden with beverages available for purchase and complimentary snacks (did someone say mac n’ cheese!). NOVEMBER 10-11, 2018 at El Chorro Regional Park in San Luis Obispo! Saturday is SCPS race 4 and Sunday is SCPS race 5 and SCNCA District Championships!